Midair Kickstarter in its final 24 hours! 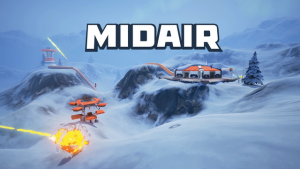 Midair had a $100,000 funding goal and is sitting at $115,021 in funding. The Kickstarter has 24hours to go. I have backed it and if anyone else is interested in backing it you only have 24 hours left. Video Below may contain cursing. This entry was posted in Midair, Project Z, Team News, Tribes. Bookmark the permalink.